Ultimate Ears is one of those few super niche brands that nobody except the humungous list of professional musicians that it displays on its website have heard of (along with a very tiny bit of the music loving populace that is obsessed enough to know what Florence + The Machine uses while giving their amazing performances, that is). It is only recently that they have started making affordable (we use this term very lightly) prosumer earphones for the general public. 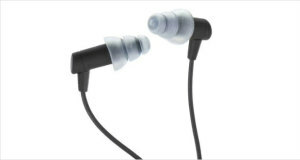 Thus we find that the Ultimate Ears Super Fi 5 Pro Headphones making it to the list of best in ear headphones. These are exceptionally well made IEMs that have a snug fit – much better than quite a few of the best noise cancelling headphones of the in-ear kind. The ultra-lightweight headphones also perform quite well. The Super Fi 5 Pro come with two drivers for music – one for the highs and mids, while one dedicated for the bass. This delivers exceptional clarity and performance in something this small, with well-defined highs and mids and a thumping bass that pleases the ears wherever you listen to the music. The Ultimate Ears Super Fi 5 Pro headphones look and feel professional with their canalphone design. The Ultimate Ears logo is stamped in a metallic shade on to the long speaker housing while the cable is shapeable for use while running. Dimensions7.1 x 7 x 2.4"
The speaker housing is made of somewhat flimsy plastic, while the cable itself is quite easily torn prone. The earphones have quite a bit of heft for IEMs, but the fit kit ensures that the best tip delivers best noise isolation as well as great fit. Clear, distinct highs that pop out vibrantly with pop and classical music. The mids are richly detailed and vocal and acoustic instruments are well defined. While the general opinion is that these ‘phones do not have a great bass, we found that these were quite adequate and well defined. The noise isolation works wonders with a great fit, with noisy metro train noises melting into the background. These earphones performed admirably after a small burn in period, and blew us away with the clear balanced sound signature. 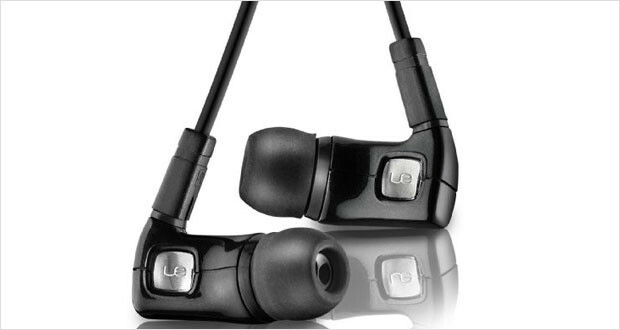 If you are looking for the best bargains where performance and price are well matched with superior sound quality you will be hard pressed to find a better product than the Ultimate Ears Super Fi 5 Pro headphones. These deliver phenomenal quality along with excellent noise isolation. For the price, which is quite high, these are probably one of the best in ear headphones in the market. Buy it!